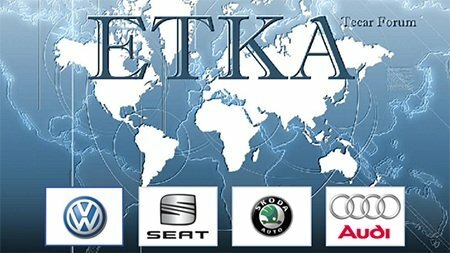 Electronic catalog ETKA contains full information on spare parts and accessories for cars of concern VAG (VW, Seat, Skoda, AUDI), including minibuses. Thank you so much for working testprotect.com 20 cartoons! Pre update: VW / AU - 1100, SK - 632, SE - 626. The distribution instructions for installing and updating, read carefully. The version can be used in a mode to 7.3 breaking Penguins folder FGST, and in a mode to 7.4 breaking updates and online using the paid service. At International installed locale and price for Russia, they can be changed to any other, except in Germany, using the loader. For the German version of the price list must be used GERMANY, there prices are updated together with the installation of updates. To reduce the size distribution and installation time are removed redundant folder Prog2 and DATA2, they will appear during the upgrade. The integrated version of the latest updates and additional photos taken with Tekar project, for which many thanks to him.